Have you ever wanted your own personal shopper? 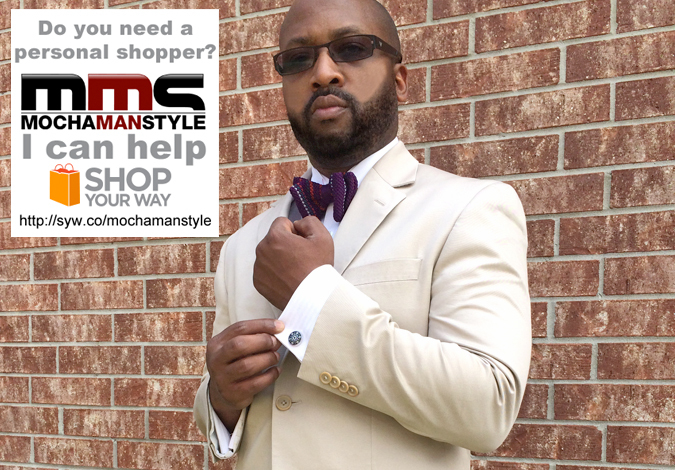 If so, Mocha Man Style can help. I am a personal shopper for ShopYourWay, an innovative shopping community. With ShopYourWay, you have access to millions of products from thousands of well-known brands. I can help you sort though these products to find items that fit your personal taste and style. My areas of expertise include – men’s style and fashion, grooming, electronics and technology, automobiles, music and musical equipment, and home decor. In addition to helping you find cool products, I can also help you save money. My clients receive regular discounts and coupons on products they love the most. 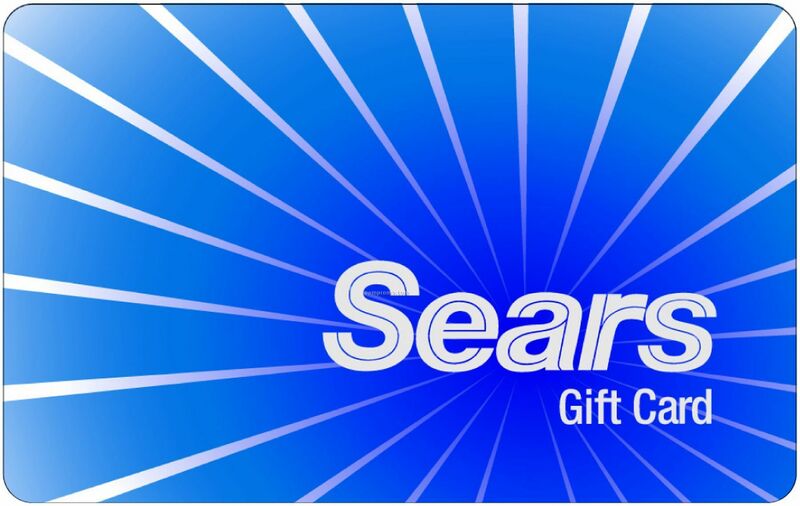 Everyone who signs up as a client is entered to win a $50 Sears Gift Card. There is no obligation to buy anything and it is totally free. 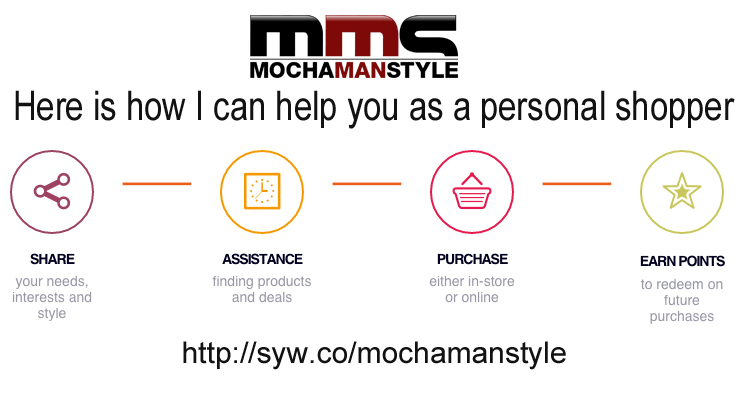 Click this link Mocha Man Style Personal Shopper to sign up (Please leave a comment below to let me know that you’ve signed up). The sweepstakes starts on Wednesday, November 11, 2014 and ends on Monday, November 24, 2014 at 11:59 a.m. (CST), and is open to all Mocha Mocha Man Style readers, subscribers, and/or fans 18 years old and older in the continental U.S. and Canada. No purchase required. Relatives and employees of Goodall Family Media are not eligible to win. You are also ineligible if you’ve won a prize from this website within the past 30 days. One (1) winner will be chosen via Random.org and announced soon after the ending date. You must leave your contact information to collect your prize. If a winner does not respond within 3 days, a new winner will be chosen. Disclosure of Material Connection: I received compensation and/or one or more of the products or services mentioned above for free in the hope that I would mention it on my website. I am disclosing this in accordance with the Federal Trade Commission’s 16 CFR, Part 255: “Guides Concerning the Use of Endorsements and Testimonials in Advertising.” All opinions are my own. Allow 3-6 weeks for giveaway fulfillment. Total prize value = $50. To see the winner, visit our Winners Page.